Talk about the benefits of having all our customers under one roof. Explain how multitenancy adds value at scale. Our decision to move to cloud computing, our decision to build Salesforce using multitenancy was made with customer success in mind. In this case, multitenancy allows us to focus on innovation for the greater good of all of our customers. This is going to take a minute to explain, so stick with us here. 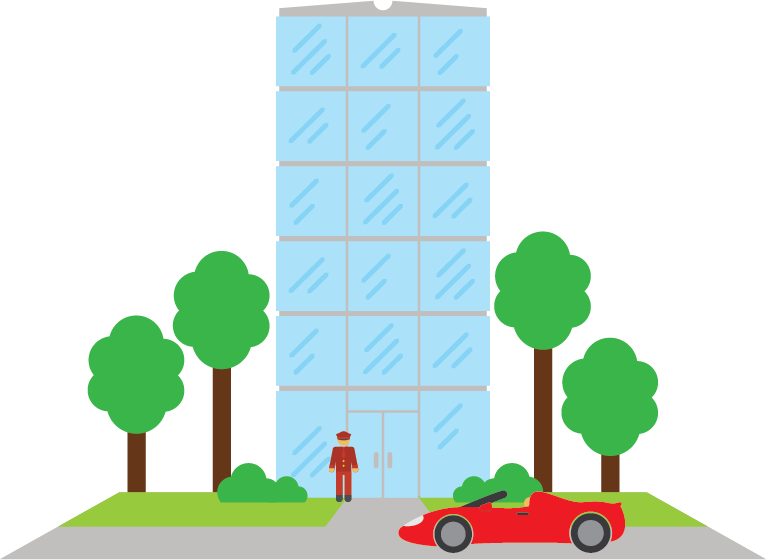 Let’s compare multitenancy to an apartment building. While we’re at it, let’s make it a luxury apartment building with a door man and in-unit laundry. Those are becoming rare with rising rents these days, but we can dream. In your apartment building, you get your own dedicated space and can customize it to meet your unique needs, but you share resources for things like power and water, and someone else takes care of all the building maintenance for you. For example, if the elevator needs maintenance, the landlord handles it for you. As the landlords of your luxury apartment building, we handle the maintenance of servers, storage, bandwidth, hardware, and networks. That means that our customers don’t have to spend time and money buying hardware and managing data centers. We shoulder that weight so that our customers can focus on innovation and evolving their business. That, in a nutshell, is multitenancy: every customer shares the same infrastructure and runs on the same platform. But, like an apartment building, each unit is unique and accessible only to the owner. It’s that simple. Having all our customers under one roof allows us to share our investment in trust and innovation with everyone. We can deliver top notch security features wanted by smaller companies, and the flexibility that enterprise companies crave. But is security in a shared environment really secure? What happens with upgrades? We have you covered with our metadata-driven architecture. Let’s talk about it.